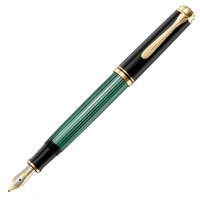 The M400 is a medium-size fountain pen, slightly smaller than the M600. Like all the Souverän series pen the M400 has a plunger filling mechanism, differential piston-filled ink system and hand-crafted finely engraved 14k /585 gold nib with bi-colour rhodium decoration. 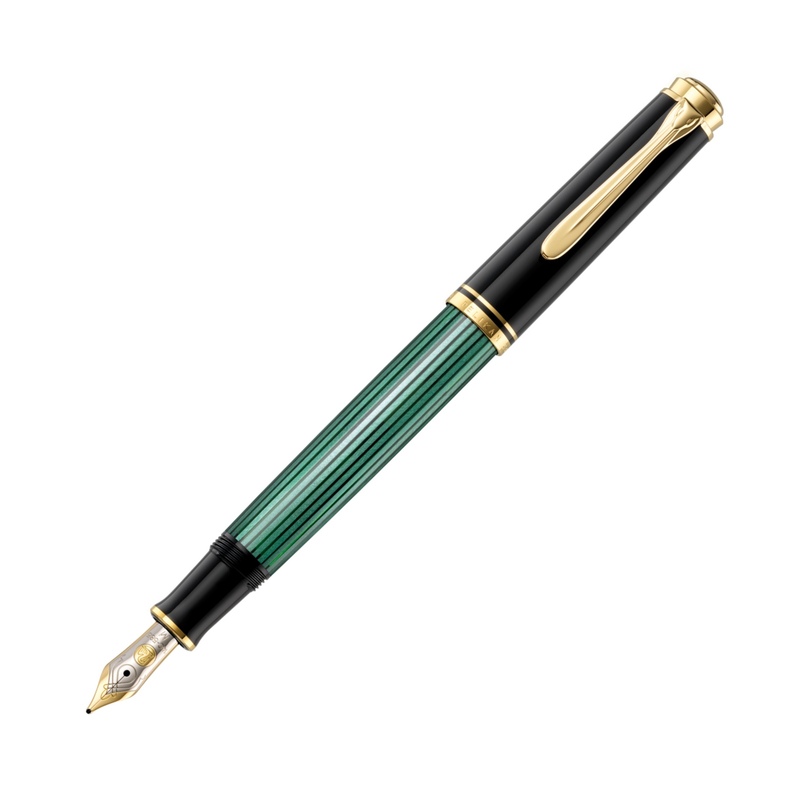 Features Pelikan's classic green striped barrel and gold-plated trim. Custom nibs are available as a special order.